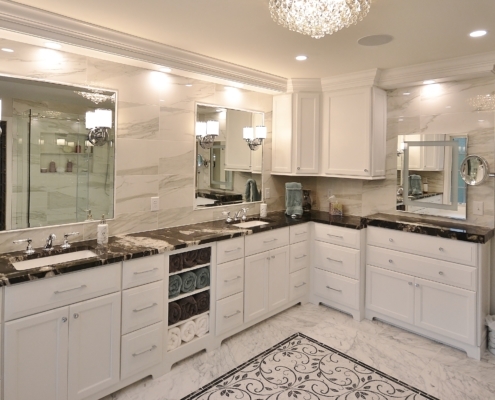 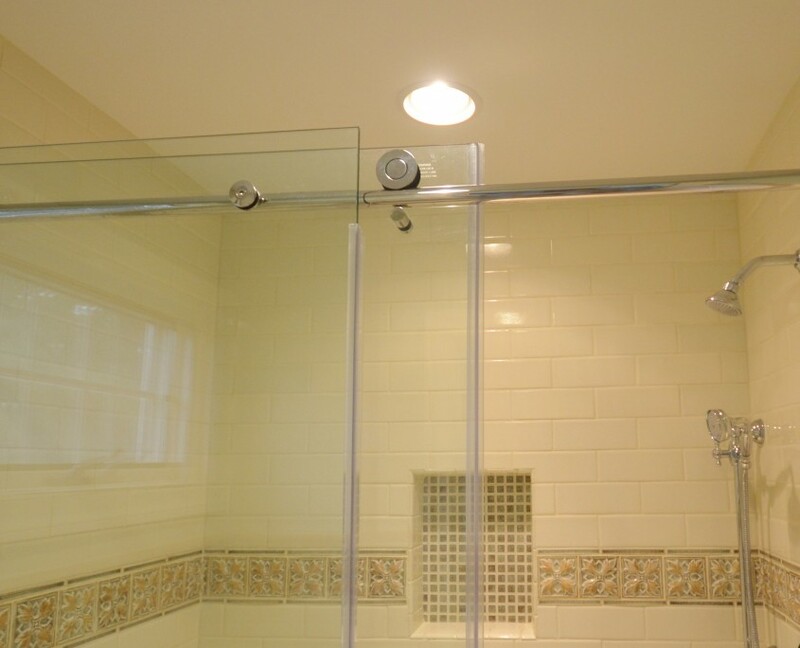 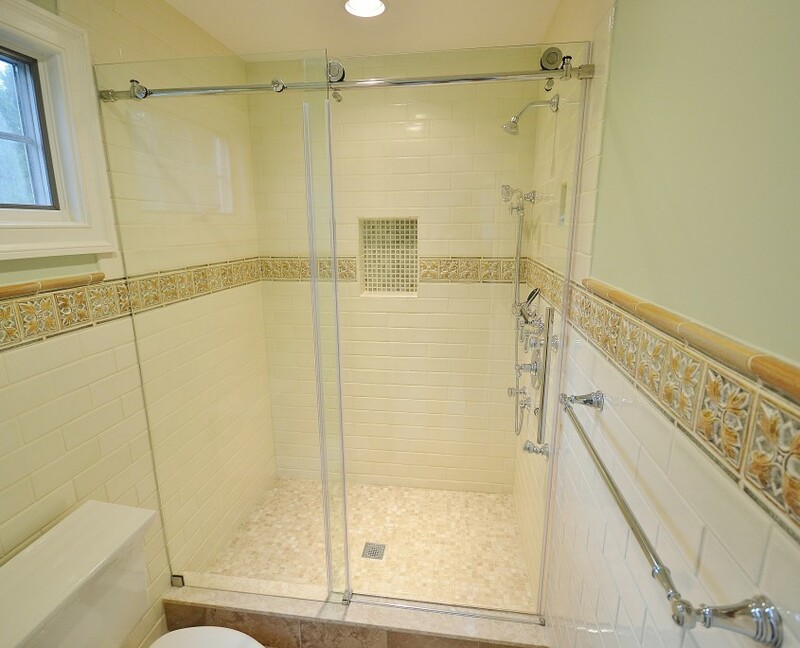 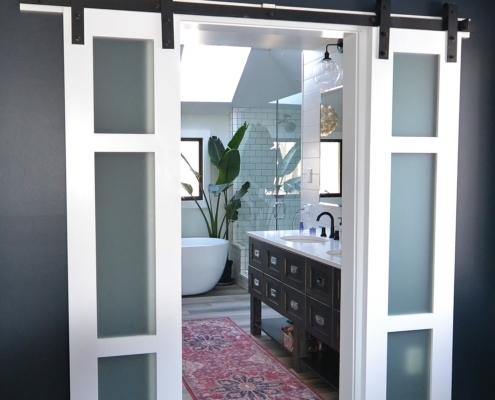 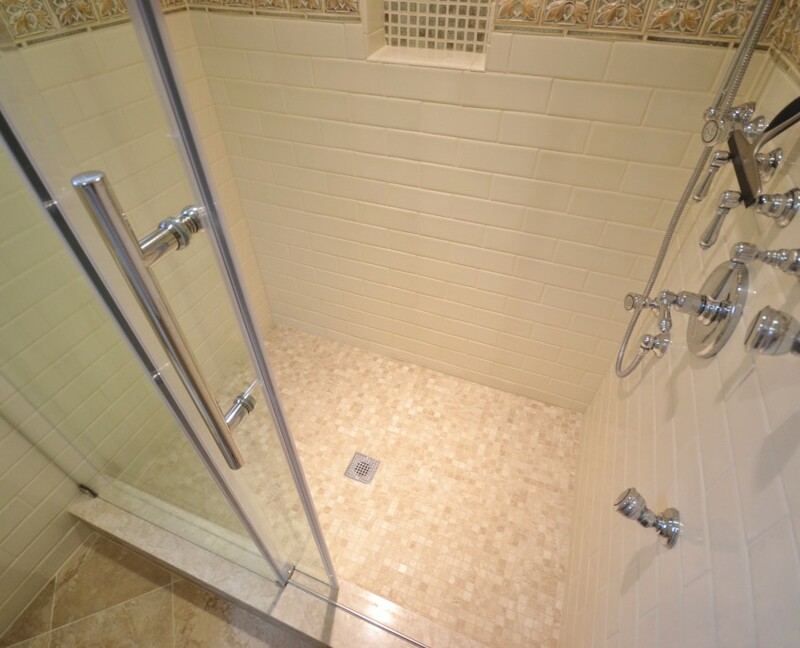 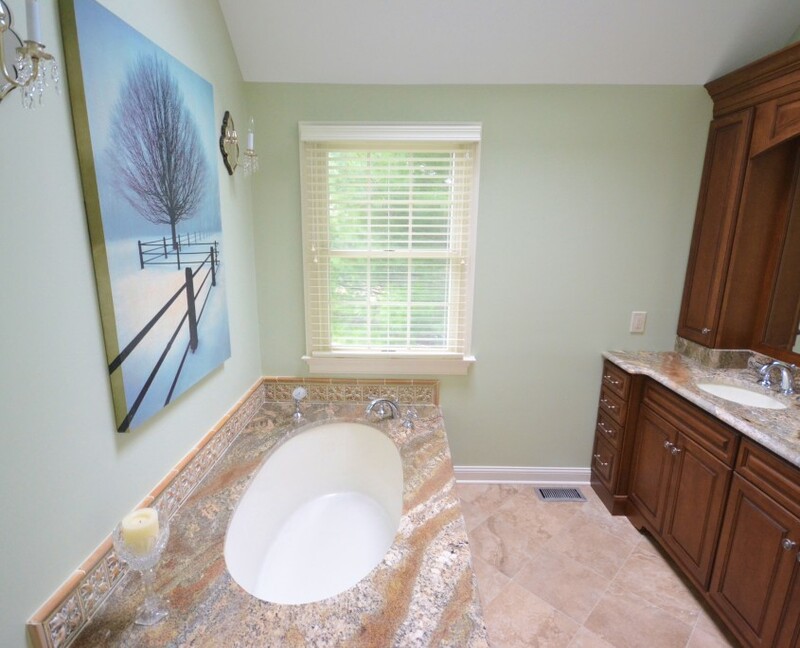 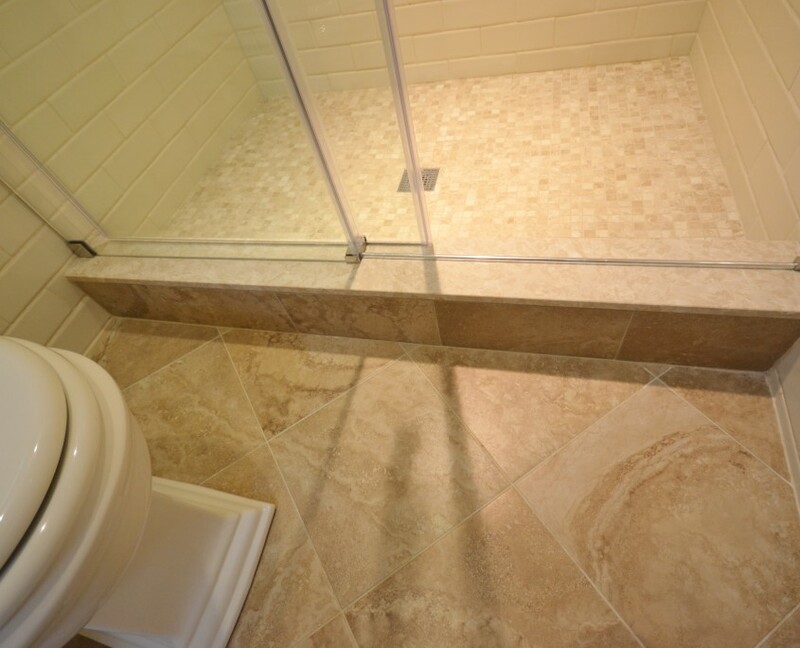 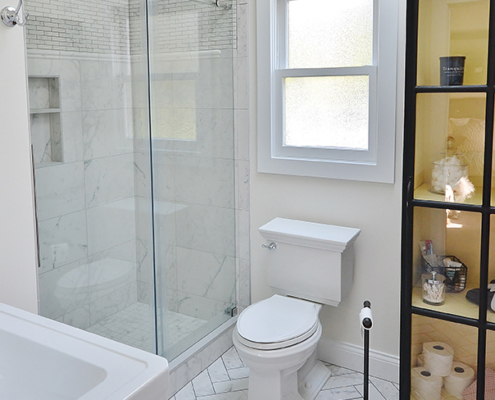 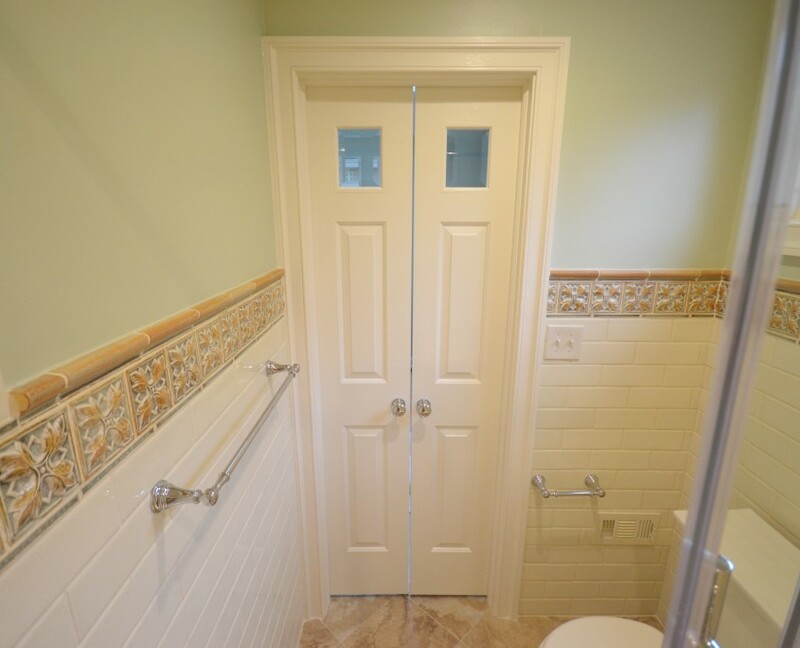 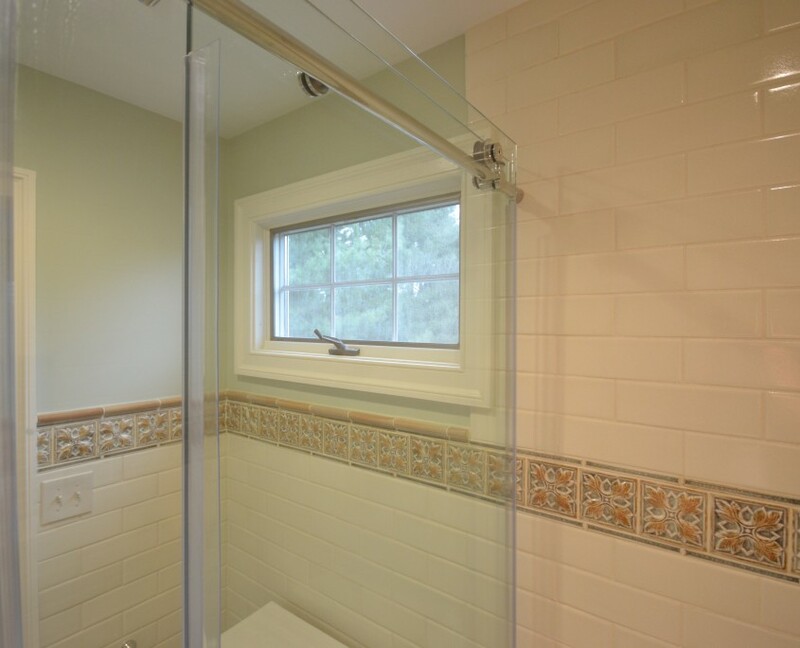 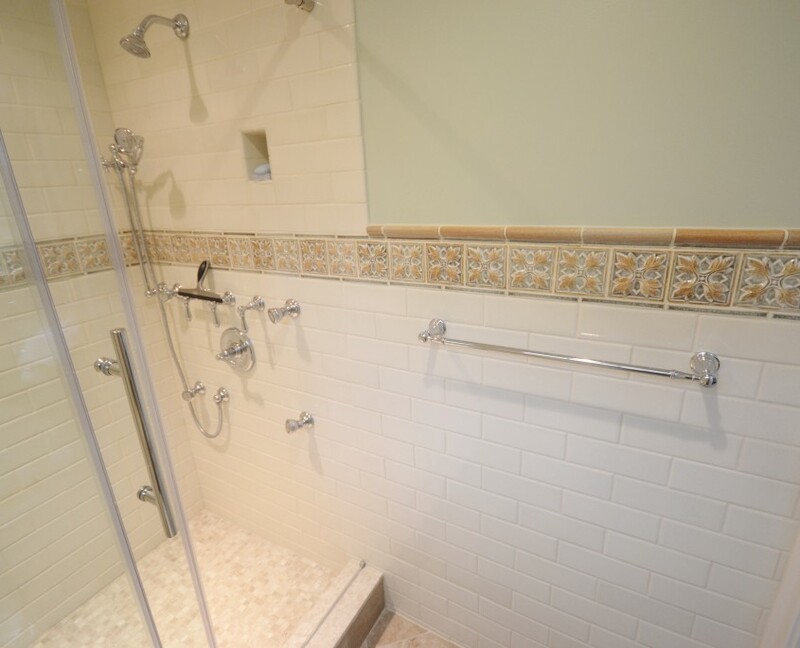 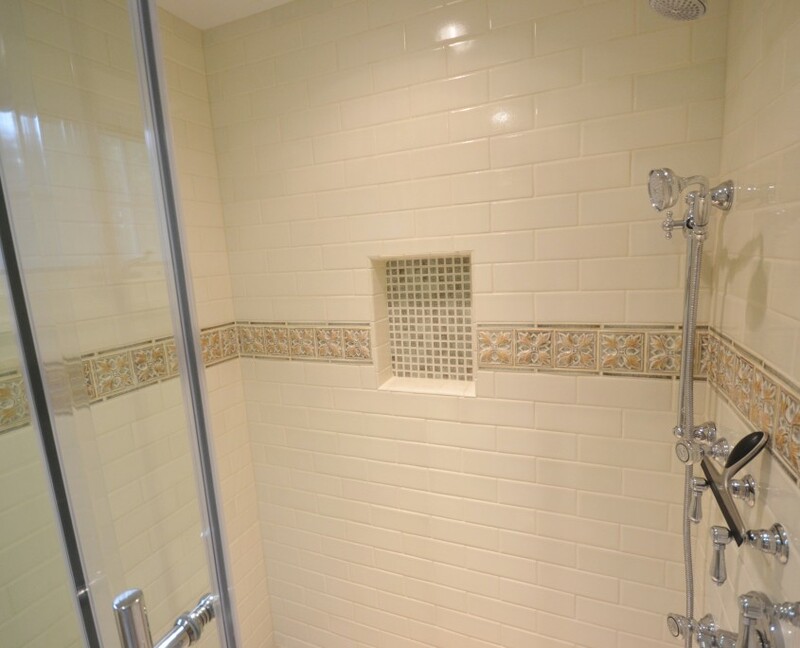 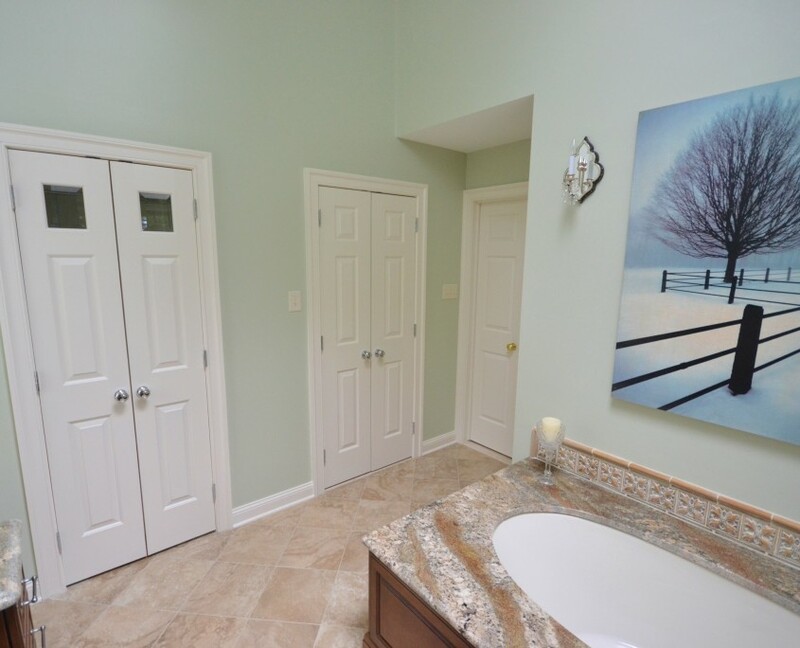 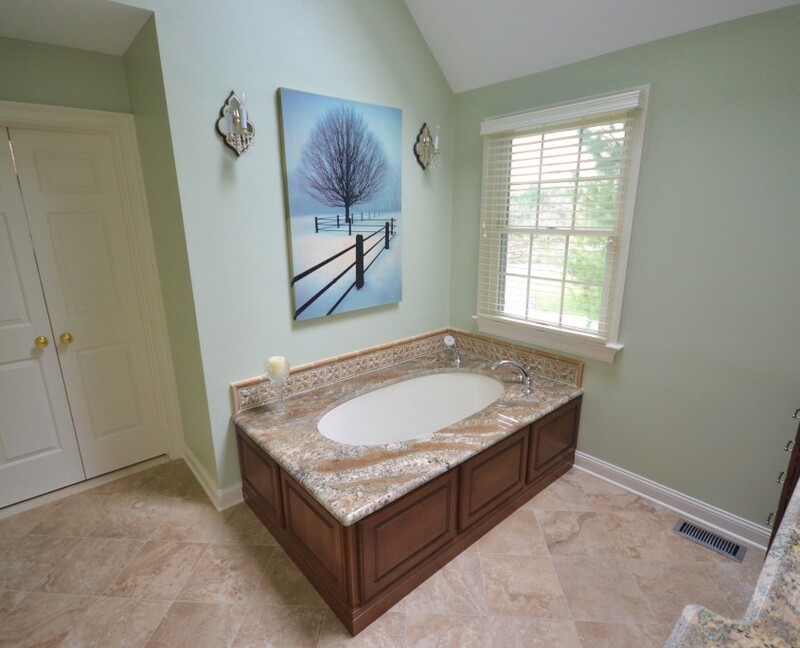 Chester County Kitchen & Bath transforms bathrooms into serene, relaxation spaces. 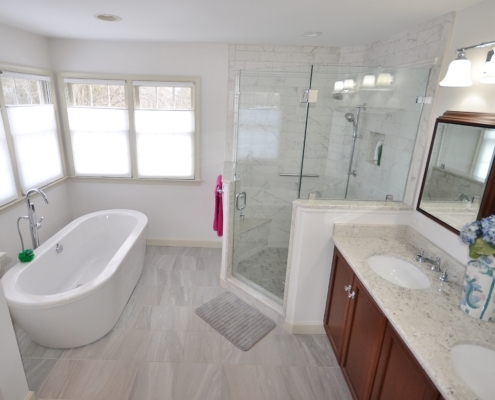 Spacious bath with under mount soaking tub wtih custom cabinetry panel base. 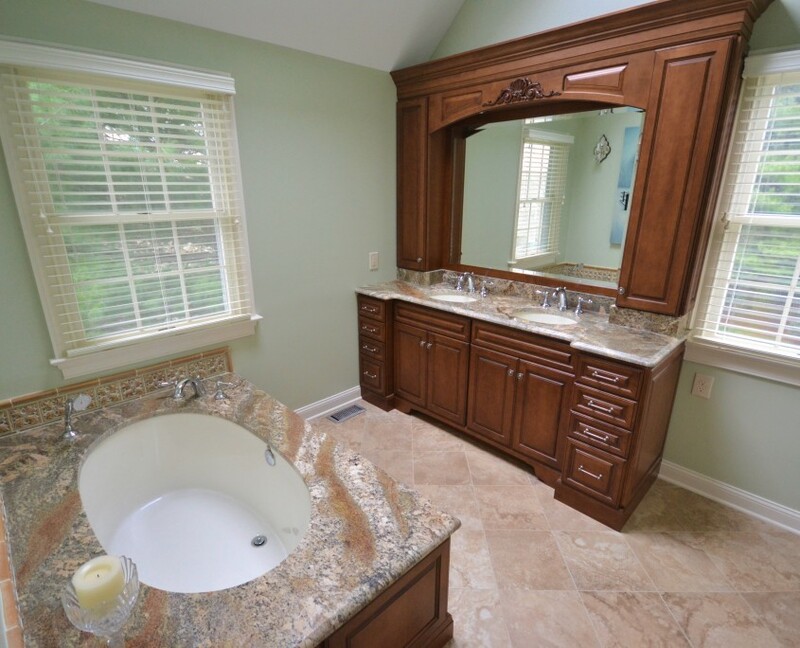 Large double bowl vanity. 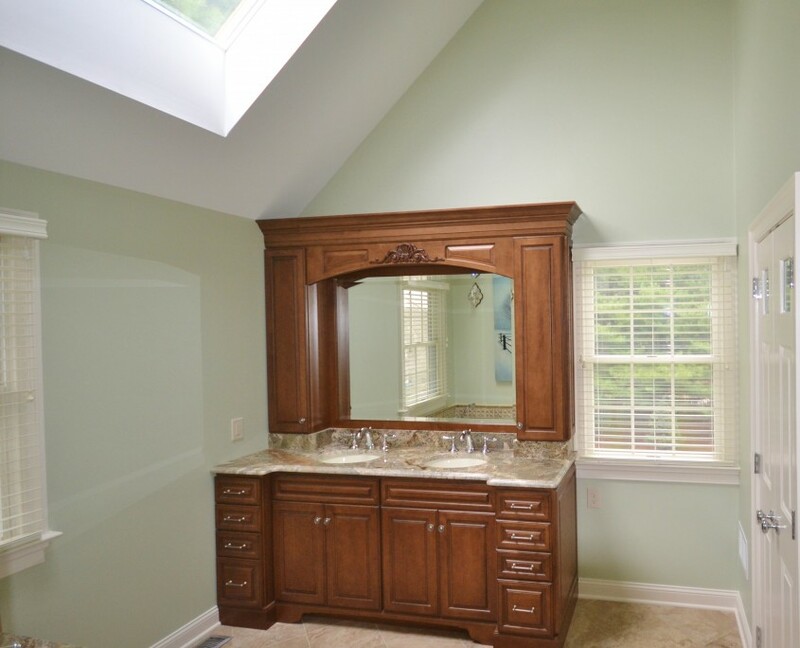 Beautiful custom upper storage cabinetry and mirror surround.